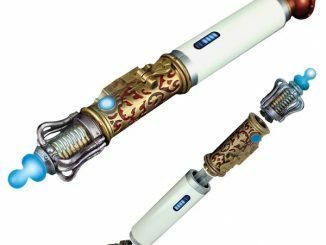 In the world of Doctor Who, the sonic screwdriver can do almost anything. 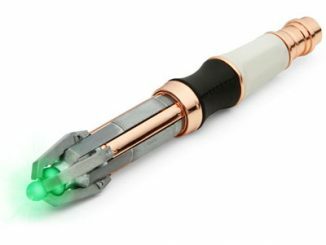 It can repair the TARDIS, unlock doors, do health scans… and brighten your room? 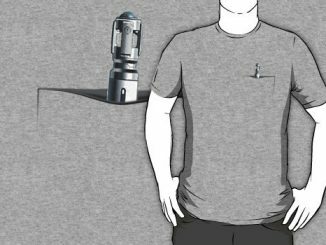 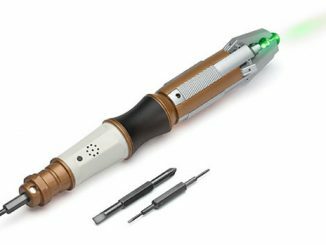 Well, that’s exactly what the Doctor Who Sonic Screwdriver Table Lamp can do, although this particular model of sonic probably can’t make repairs on the TARDIS. 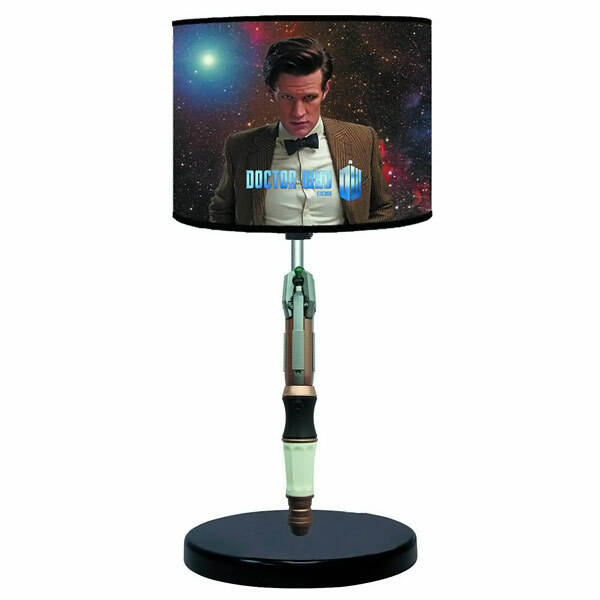 Standing 9 1/2-inches tall, this replica of the eleventh Doctor’s iconic tool holds a 60W bulb (not included) and is topped with a lampshade featuring Matt Smith as the Doctor as he gazes upon you with a cosmic field of stars behind him. 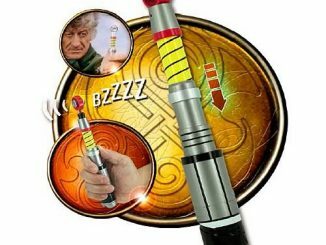 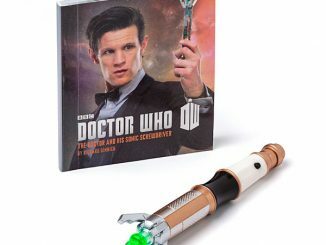 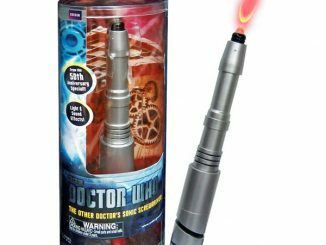 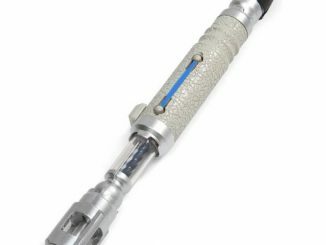 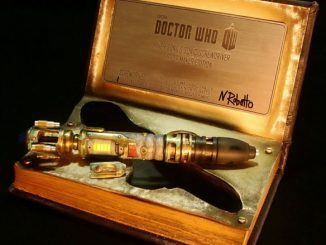 The Doctor Who Sonic Screwdriver Table Lamp will be available June 2013 but it can be pre-ordered now for $43.49 at Urban Collector. 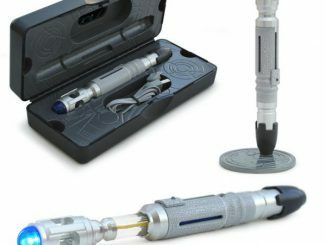 It will also be available at Amazon.com. 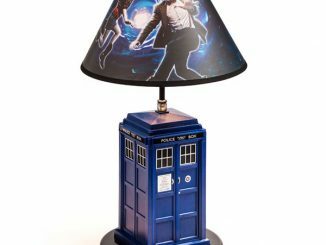 You can keep the Doctor Who theme going with your lights by also checking out the Doctor Who TARDIS Table Lamp.